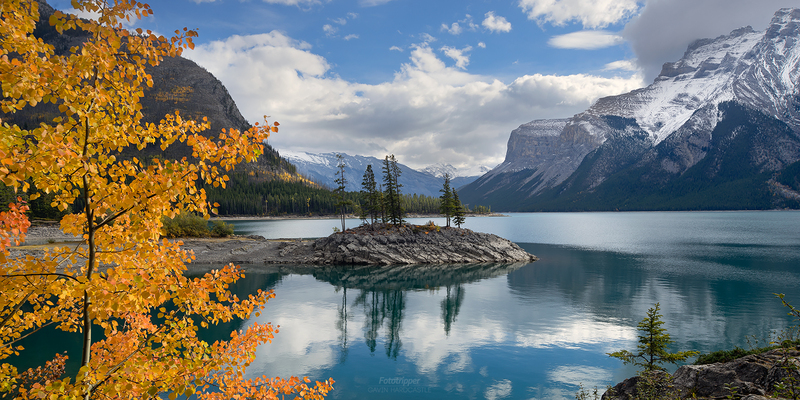 The Fall colours in Banff National Park are something to behold. After years of shooting landscape photography in Alberta, I’ve learned where to find the richest colours and the best times to find them. The Canadian Rockies will always have a special place in my heart. Lake Minnewanka is one of those places that can be hard to shoot but on this day I got really lucky with the morning light. Only a couple of hours North East you’ll find the jewel of the Rockies – Abraham Lake. If you plan of visiting Alberta be sure to read my Abraham Lake Photography tips.